Our visits are tailored to your pets needs, we strive try to keep them on as close to their daily routine as possible. Our visits include feeding, refilling water bowls, putting pets outside for the day &/or bringing them inside for the night, turning off lights during morning visit and turning on lights during evening visit, bringing in mail and newspapers, (*these visits very likely require extra time) playing with pets, administering medicines, watering plants and other items necessary to care for your home &/or pets while you're away. If requested a walk (**dogs Must be able to walk nicely on a loose leash). *Visit options range from 15 to 55 minutes long. You may tailor the time to your visits to best suit your pet's needs. See Policy page for full pricing. Holidays - Additional charges of $5.00 per day apply. Christmas- December 24 and 25th, New Years- December 31 and January 1st, Easter weekend, Memorial Day weekend + Monday, 4th of July, Labor Day weekend + Monday, and Thanksgiving (Wednesday - Sunday). **Dog training can be added to visits for an additional $50.00 per 30 minute training session (may be split between 2 dogs for 15 minutes each). Area Restrictions Apply- Fees are for pet sitting within the City of Denton. Additional fuel fees may be assessed for areas outside the City of Denton limits. Reduced Stress: Your Pet stays in it’s own familiar, secure environment where all the sights, smells and sounds say “Home”! 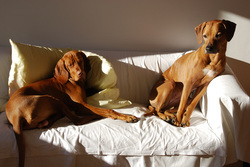 Diet and Exercise: Your Pets normal diet & exercise routines are followed, causing no interruptions to upset your pet. No Travel Trauma: Traveling away from home can be very upsetting to you and your pet. You will leave worry free and upon your return will find your pet at home happily waiting for your return! Health Concerns: By using a pet sitter, there is minimal exposure to illness of other animals. TLC: Most importantly your pet will receive the LOVE and personal attention that they deserve while you are away!! Travel: You won’t be inconvenienced or upset by transporting and leaving your pet in an unfamiliar environment. No Imposition: You don’t have to impose on a friend, neighbor or relative to care for your pet. Instead, you can rely on a Pet Care Professional who will ALWAYS put your pet’s needs first. Security: Your Home will be checked on daily. We will bring in mail/newspapers, rotate lights, open & close blinds, put out and bring in the trash containers. All of which will act as a crime deterrent giving your home that normal lived in appearance. Peace of mind: Knowing you have left the care of your pets and home in the hands of a Professional. Happy Pets: Best of all when you return your happy, well taken care of pets will eagerly greet you at the door! !